With the massive Christchurch rebuild well underway, Dennis finds his role as a fire engineer both challenging and exciting. Dennis explains that the input from a Fire Engineer is needed at every stage of a construction project. All this involves a significant amount of meetings and site visits with the client (usually the building developer), the local council, the fire service, fellow fire engineers, architects, engineers and contractors. 'As fire engineering often overlaps with other disciplines during design and construction, it has presented an excellent networking opportunity with colleagues within the building industry,' says Dennis, who is hoping to get more involved as he progresses in his career. Dennis gained both a BE(Hons) and a PhD from UC. He felt Engineering was a natural direction for him as he leaned towards science at high school. Originally from the industrial town of Bintulu, Sarawak, Malaysia, he spent his final year of high school at Burnside High School in Christchurch. For his PhD, Dennis specialised in the area of pyrolysis (thermal degradation and decomposition), combustion and fire dynamics, and specifically solid heat transfer. His research focused on the experimental study and numerical prediction of the burning behaviours of polyurethane foams — common fire loads in anything from residential buildings to offices, or crowd spaces such as restaurants or cinemas. 'The experimental investigation discovered the material properties of polyurethane foams, and the numerical study used this experimental information in a fire model to investigate their decomposition and burning behaviour,' he explains. 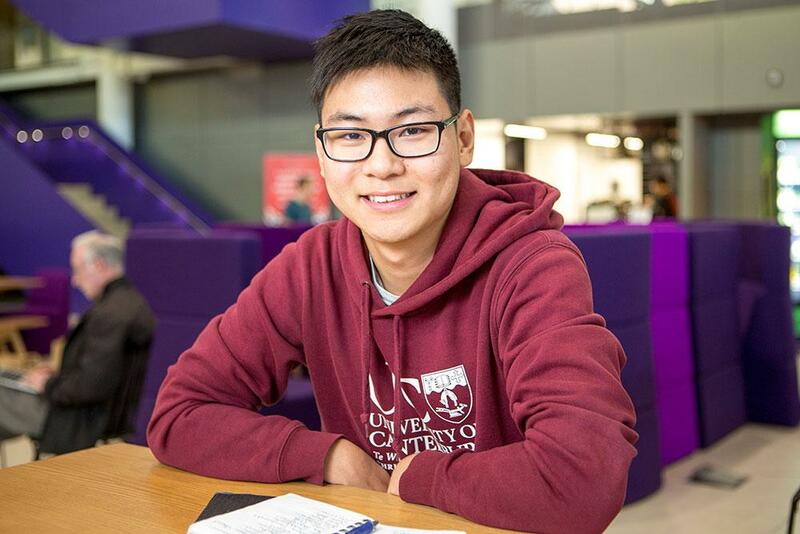 Apart from allowing him to attain a higher level of qualification and complete a specialised piece of work, Dennis found postgraduate study extended his academic experience in other areas. 'It has allowed me to meet people from all over the world,' he says. 'This facilitates the exchange of ideas and concepts, not just from an academic perspective but also from a social and lifestyle aspect. Even after university, we still maintain contact and some of us have become colleagues in the industry. Although busy with his job, Dennis makes sure he finds time to do the things he loves outside work.